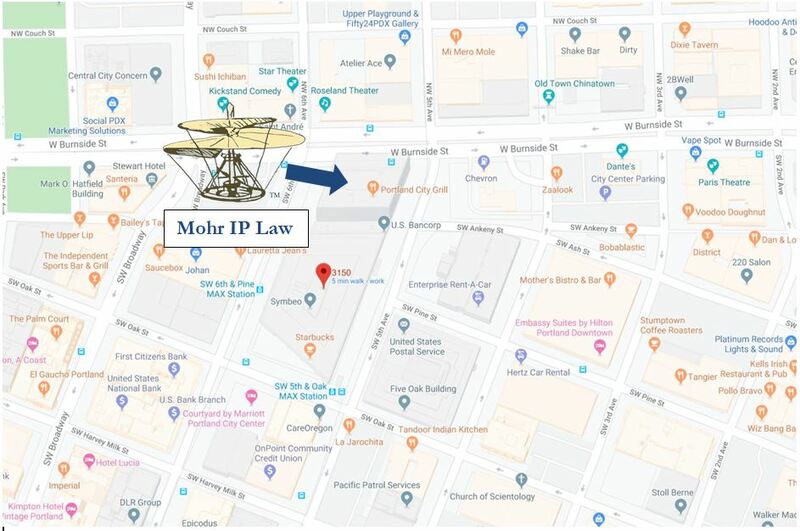 Mohr IP Law Solutions, P.C. On 5th Avenue between Alder St. and Washington St. in the Yeon Building. Spella Coffee is a good landmark next to the main door to the Yeon Building. Suite 1390 is on the 13th floor to the left of the elevator. There are two parking lots located close to our office. One is at 4th and Alder and one at 6th and Alder.